Registration opens at 6:15. 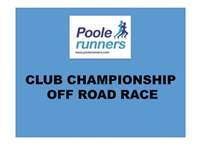 A Poole Runners Club Championships event under UKA rules. Club vests please.